What I am learning from this past year of processing my story and healing some wounds is that if I allow fear to be the chief in charge, it will ALWAYS keep me huddling in the corner. It will keep my spirit bound up, hostage and absolutely quiet. Fear keeps my gaze looking at all the wrong, external facets of life. In other words, fear keeps my eyes off of what really matters: the heart. Writing doesn’t feel easy right now. And that feels scary. Which can tend to be a perfect Segway to fear. 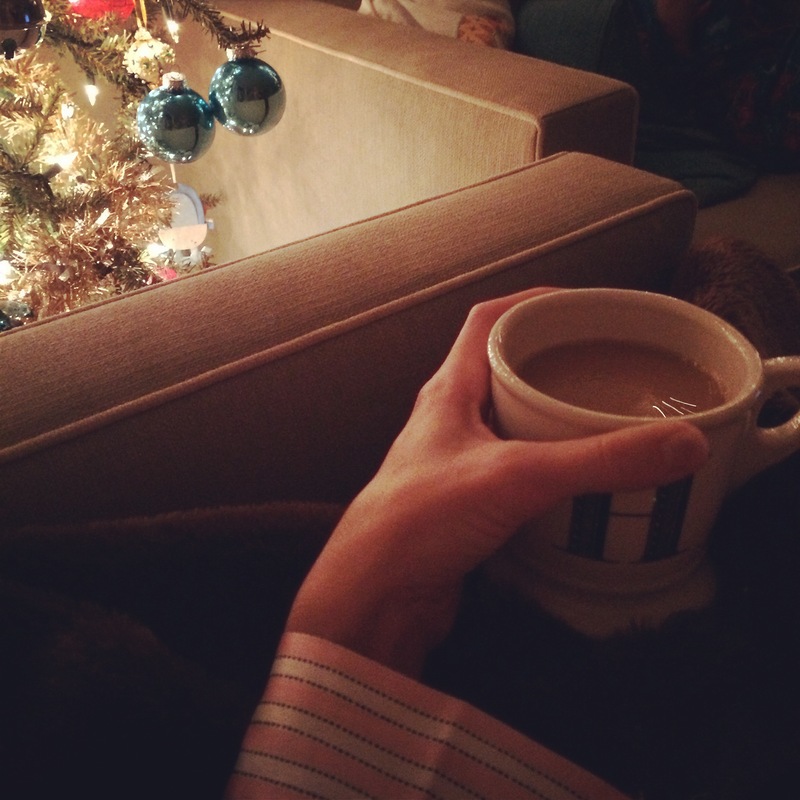 Last night, I cozied up with my two oldest kids and began reading our advent story. I’m 99.9% sure BOTH my kids were asleep before I could even utter the very first sentence of the story. They were with out a doubt wiped from the weekend. As the words fell off my lips, I was taken aback how the words simultaneously pierced and revived my spirits. And I wasn’t about to stop reading aloud… even if I was reading just to me. Perhaps it was especially for me? The story I read was about how the prophet Samuel picked David to be the new king of Bethlehem. David was the youngest of eight brothers. And he was also the least likely to be picked. Looking from the outside, any one of David’s older brothers looked far more like a king than David. Each of them were bigger, stronger and taller than David. But God whispered to Samuel that He doesn’t see the way humans see. God gave Samuel a new set of eyes to see what really matters: the heart. I want so badly to see others with a fresh pair of eyes… I want to see and value them for their hearts. Not because they are the prettiest, most composed, most well spoken person in front of me. It crushes me to think, with the wrong perspective, I could overlook and marginalize the most beautiful heart because it may not be wrapped in perfect Martha Stewart fashion. I quietly kissed my kids’ cheeks and tip-toed out of the bedroom. I sat down on the couch ever so slowly. The house was silent. The living room glowed, only from the light from our Christmas tree. I sat, not moving. Not uttering a sound. I sat as not to disrupt what I could feel in my soul was settling. And then I could feel myself holding back the tears. I need to see MYSELF with a fresh pair of eyes. I desperately need to SEE and value myself for the heart God has given me and what He is doing inside of me. So often I see through the eyes of scarcity and lacking. And those eyes are all about seeing the mistakes, failings and shortcomings. It causes me to see my sensitivity as too emotional, not as an indicator of the things that should break our hearts. I see my quiet spirit as a lack of eloquence, not as a safe harbor to those who might need it. I see a short and unimpressive list of credentials. Too often, I see not enough. But that’s the thing I’m learning. (like, ouch, really learning). Eyes focused on worldly standards say, “You don’t have what it takes”, “You aren’t enough.” Those eyes are merely looking at the outside. Not at the beautiful inside. Each and every time I get my eyes off of me and back onto Jesus and I say to Him,“You are God and I am SOOOOHOHOHO not”. Those eyes – who see only in total darkness – are SHUT. Time stands still for just a second. I breathe in and out very slowly. And I tell myself I am loved. And I tell myself He is tenderly for me. Jesus is walking right next to me, with His arm wrapped tightly around me. Like a Daddy protectively, lovingly walking with his daughter. And we’re walking together into the Arena of FULLY living. He’s WITH me… tenderly FOR me. The arena we are entering is ALL about living out of my HEART. It’s about showing up with my HEART in my hands. It’s about using my NEW EYES so I can see MYSELF as abundantly beautiful. So I can see others for who they are worth. It’s about using my new eyes to see others who are hurting and scared too. It’s about courage and honesty, so others will know, really know, they are not alone. The arena is NOT about living out of fear or scarcity or lacking. It’s NOT about living out of shame or expectations or smallness. It’s all about my HEART and my new pair of EYES. And Jesus is WITH me… tenderly FOR me.